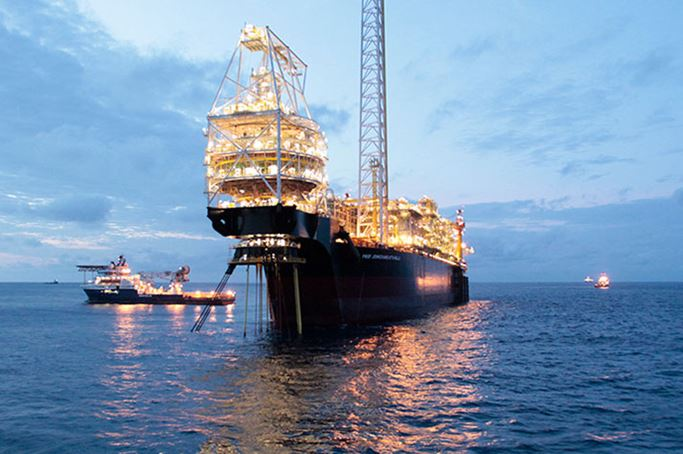 A total amount of $501.26 million, comprising lifting proceeds of the Ghana Group, surface rentals, Petroleum Holding Fund (PHF) income and corporation income tax, was received into PHF in the second half of 2018. The Ghana Petroleum Funds Secretariat of the Bank of Ghana (BoG), which made this known, said while GNPC received $162.45 million, ABFA received $117.55 million while GSF and GHF received an allocation of $154.88 million and $66.38 million respectively during the period under review. GHF and GSF total return year to date (YTD) was 1.12% and 1.77% respectively. Also, it said realised income on the GPFs in the second half was $9.26 million (GHF contributed $5.31 million and GSF contributed $3.95 million) as compared to first half total net realised income of $6.49 million (GHF contributed $4.04 million and GSF contributed $2.45 million). GSF and GHF accumulated reserves were $381.20 million and $485.17 million respectively. Based on the developments, the analysts stated that the global economy was projected to slow to 2.9% in 2019, having grown 3.8% in 2018. During the second half of 2018, the Ghana Group (GNPC lifting on behalf of Government of Ghana) lifted two (2) parcels of crude oil (8th & 9th) from the Tweneboa, Enyenra and Ntomme (TEN) field and the Jubilee field (44th, 45th & 46th). The lifting proceeds received into the PHF in second half were $223.60 million for TEN (7th lifting of TEN received in H1 2018 but distributed in the second half) and $200.30 million for Jubilee. The Petroleum Holding Fund (PHF) received a total amount of $423.93 million from lifting proceeds in H2 compared to receipts of $390.02 million in the first half. Total receipts from TEN (7th to 9th lifting’s) was $223.60 million compared to $123.88 million received in H1 2018 (5th and 6th TEN lifting’s), while receipts from Jubilee (44th to 46th) was $200.32 million compared to $203.10 million received in H1 2018 (41st to 43rd lifting’s). The higher lifting receipts are predominantly a result of higher crude oil prices. During the period under review, a total amount of $77.34 million was received from various entities for the payment of surface rental, corporation income tax and interest accrued on the PHF account. The amounts received in respect of other income comprise $0.317 million for surface rental and $76.14 million for corporation income tax. In addition, interest of $0.880 million was earned on undistributed funds held in the PHF. GNPC received an amount of $162.45 million for CAPI and EFC in H2 2018 compared to $142.82 million in H2 2017. The Ghana Stabilization Fund and the Ghana Heritage Fund received $154.88 million and $66.38 million respectively in H2 2018 compared to $150.84 million and $64.65 million respectively received in H1 2018. ABFA has received a total of $1,878.01 billion, representing 38% of the total revenue while GNPC has received a total amount of $1,544.62 billion equivalent to 31% of total revenue. GSF and GHF have each received an amount of $1,082.28 million (22 percent) and $454.74 million (9 percent) respectively. Total lifting proceeds and other income distributed to ABFA, GNPC, GSF and GHF from inception to the end of December 2018 amounted to $4,959.85 billion. In line with Section 23(4) of the PRMA, Act 815 and Section 9 of Act 893 as amended, the GSF was capped at $300 million per the Budget Statement and Economic Policy for the 2018 financial year. Thus, an amount of $206,291,095.81(2nd half of 2018) which was the excess over the cap was transferred to the Sinking Fund in accordance with Section 23 (3) of the Petroleum Revenue Management Act (PRMA), Act 815 and Act 893 as amended. The excess over the cap as at December 31 2018 stood at US$81,203,231.15. There was no withdrawal in respect of ABFA, as the semi-annual target of $117.55 million was fully met.